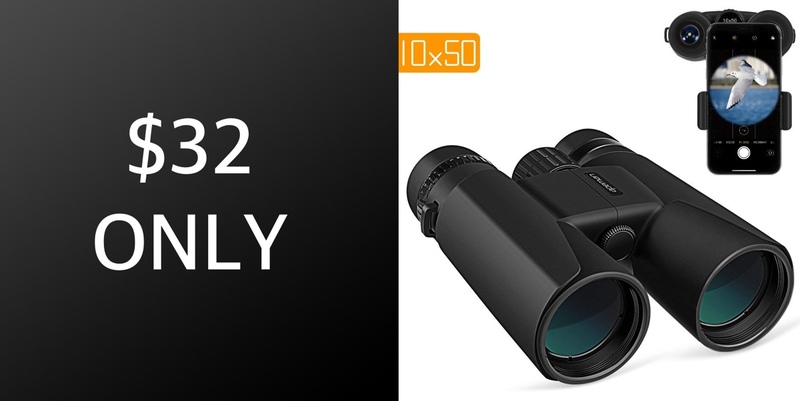 The wonderful APEMAN 10X50 high-power magnification binoculars are currently being offered for just $32.39. This cutting-edge, quality hardware not only brings the experience of the old with standard binocular behavior but also mixes in the modern with an included smartphone adapter. The first thing that you are going to notice is that this hardware brings you all of the functionality that you would expect from a pair of professional binoculars. Immediate usage of the hardware allows you to explore distance objects as if it was right in front of your face. So, in that regard, you are going to be able to focus on the desired target from a distance of 1,000 yards out and view it in full glory as if it was on the end of your nose. The APEMAN kit comes with 10x magnification and twist-up Eye Cups. The hardware has been built to be water-proof and fog-proof, which means that the unit is built for use outdoors and is going to be the perfect travel companion for those nature walks. The fully multi-coated lenses within the product also ensure that the provided view is as bright as it can be. However, like all products of this nature, it shouldn’t be used to stare directly at the sun. And, as if all of that wasn’t enough, there is also the modern element to the hardware. 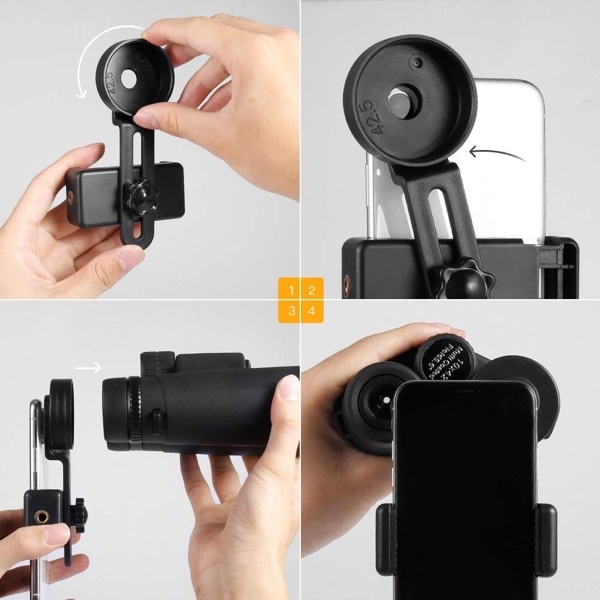 It ships with a dedicated smartphone adapter that allows your connected device to be attached to the binoculars in order to take photographs and record videos of the beautiful views and scenery that you are taking in. The rotating eye-shield design also means that the hardware is versatile enough to appeal to glasses and non-glasses wearers alike without any additional accessories being added or without any detriment to the overall experience. For those individuals who love nothing more than getting out into nature and taking in beautiful scenery and landscapes but who also want to throw in some digital functionality then this is definitely the hardware that you need to be looking at that is going to deliver exactly what you need at a very reasonable price.